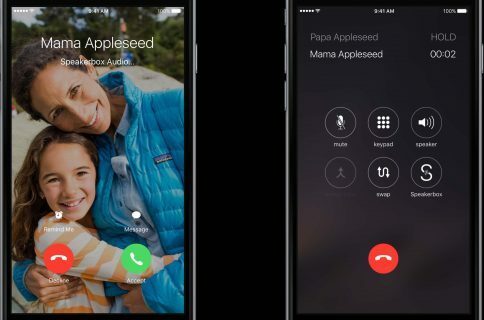 Some quite interesting data points in a new report from app marketing firm App Annie suggest that China has now overtaken the United States as Apple’s top market for iPhone, iPad and iPod touch apps, with a fifteen percent higher App Store revenue than the U.S. in the September quarter. Chinese users spent more than five times the amount they spent just two years prior in the App Store. In the September quarter alone, Apple raked in more than $1.7 billion from sales of iOS apps in China versus $1.5 billion in US App Store revenue during the same period. Games, the #1 category by revenue, have driven the lion’s share of this growth and China’s lead in iOS games revenue has widened over the U.S. in the September quarter. 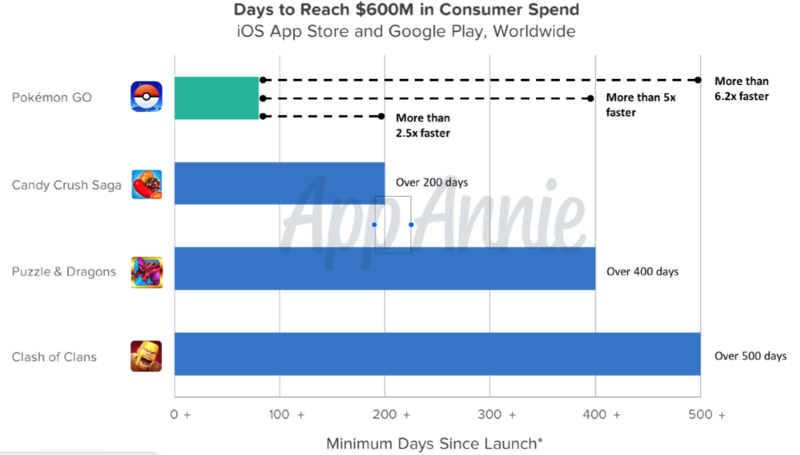 “While 75 percent of apps in the iOS App Store may belong to non-gaming categories, 75 percent of revenue is still produced from games,” notes App Annie. Pokémon GO, the most downloaded game in the App Store, reached $600 million in revenue in under a hundred days while Candy Crush took more than twice as long to hit the same milestone. They expect revenue for non-games to significantly increase through 2020. Entertainment, Social Networking, Books and Photo & Video were the top-grossing categories outside of Games on the Chinese App Store in the third quarter of this year. Revenue from these apps more than tripled year over year, estimated App Annie. 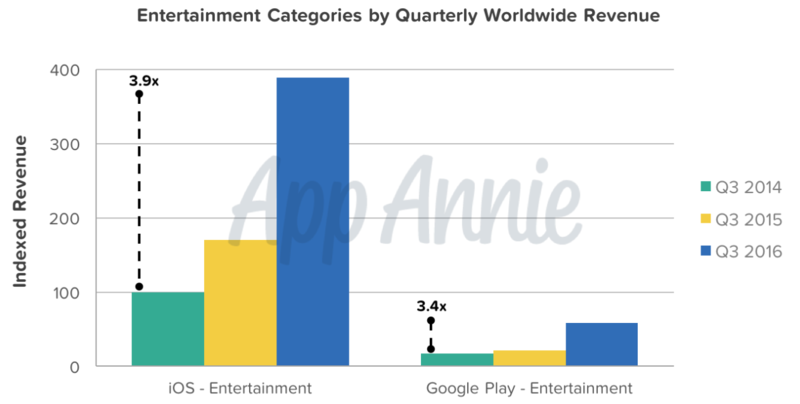 Entertainment apps showed the largest absolute gains after Games. In-App Subscriptions from video-streaming apps like iQIYI, Tencent Video and Youku led the charge. 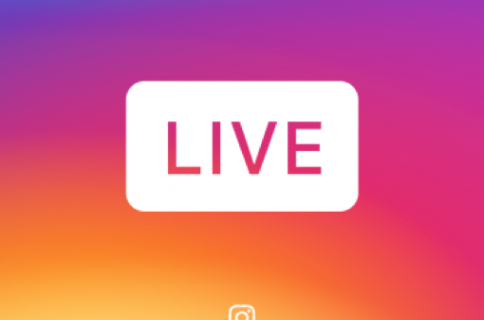 Social Networking is one of the fastest growing categories for iOS revenue in China, with apps like QQ, Momo and Inke driving a significant amount of revenue by incorporating video streaming into their communication platforms. 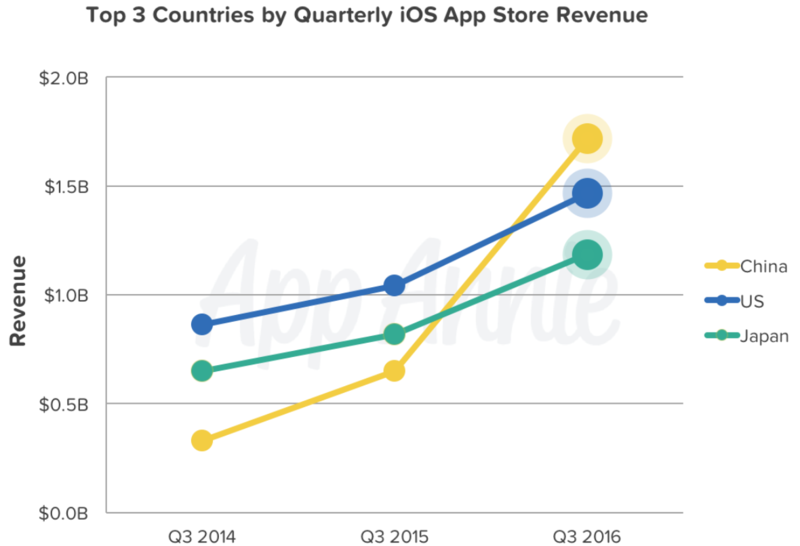 China earning the top slot in iOS App Store revenue is no doubt a huge milestone for the app ecosystem that could have some repercussions for the developers. 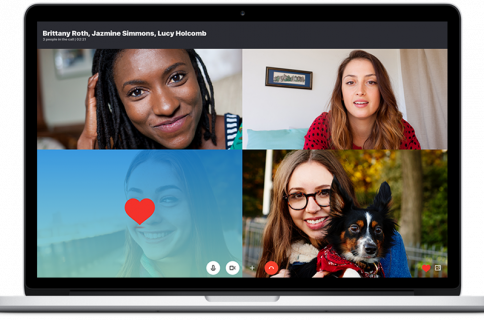 “As an app publisher or marketer, if China wasn’t a key priority in your app strategy, it should be now,” advised App Annie. 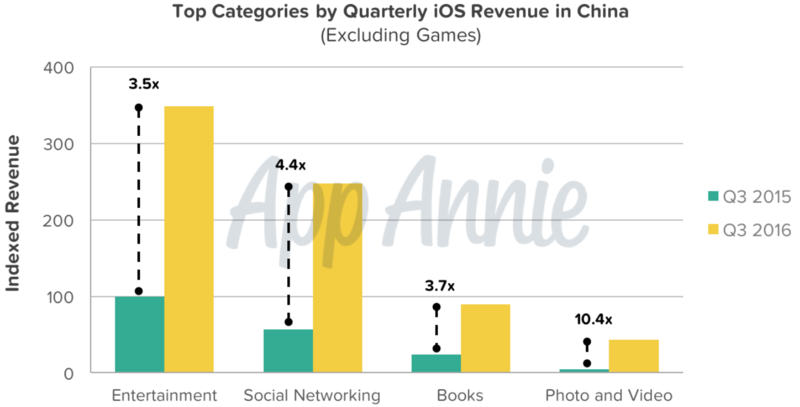 App Annie forecast that China’s App Store revenue growth is set to continue, with the country projected to drive the largest absolute revenue growth for any country by 2020. You can download the full report from the App Annie website.